Hubbell-Wiring Insulgrip® Heavy duty polarized straight blade plug has tough nylon body that provides impact and chemical resistance. The durable and powerful offsetting cord grip clamps on individual conductors and outer cord jackets preventing strain on the terminals. The dual, maximum strength cord grip is suitable for stage/studio power, portable power distribution, lighting, on-location filming, carnivals and theme parks. 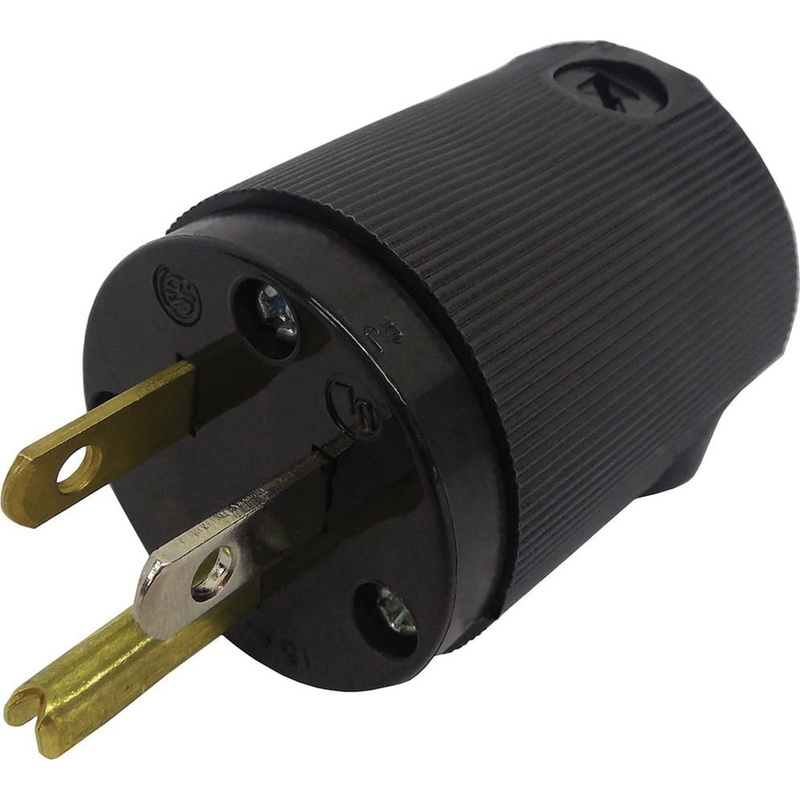 Straight blade plug meets UL and CSA standards.